Our name says it all. Create a new beginning by embracing the freedom we offer to become a better you and experiencing our PURE products, PURE lifestyle, and PURE legacy. 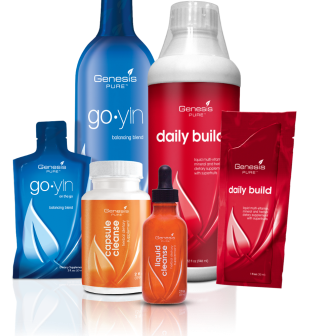 Genesis PURE products are unmatched in quality, efficacy, and bioavailability. 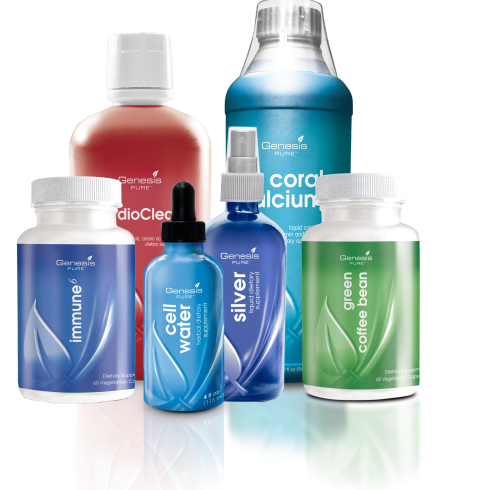 By implementing these powerful products into the simple and powerful system of “Cleanse, Balance, and Build,” lives are being changed each and every day. This proven technique allows the products to work together; complementing and supporting each other to maximize their effectiveness and bring you the best results possible. Core: These products represent the foundation for “Cleanse, Balance, Build” and have been formulated to support your body throughout its transformation into better health. 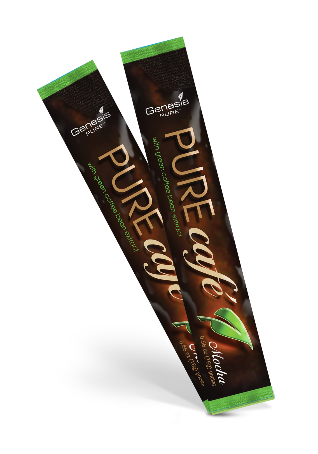 PURE Cafe: Start your morning with a rich, warm cup of PURE Café or enjoy over ice on a sunny afternoon. ENERGY: Genesis PURE™ ENERGY is a categorically different energy drink that provides instant, yet sustainable energy that lasts for hours without making you crash. GPS: Genesis PURE Sports is your map to peak performance. 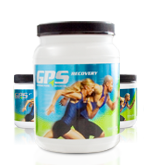 Addressing all the body’s demands during physical activity, the GPS products are unmatched in the ability to build, repair, and strengthen the body. 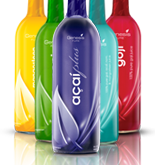 Superfruits: Genesis PURE™ proudly offers four of the most incredible superfruits on the market today. Our products are free from fillers, sugars, and preservatives. Supplements: Genesis PURE™ supplements are second to none in formulation and results. Youth Renew: Youth Renew is a complete age-defying skin care system with patented ingredients backed by clinical studies. 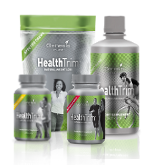 Health Trim: HealthTrim® is a complete weight loss system consisting of state-of-the-art products that address all facets of losing weight. The Genesis PURE Rewards Plan has been designed to deliver optimal rewards by combining PURE health and nutrition with a PURE opportunity. 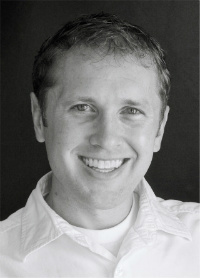 The Rewards Plan enables us to reward those individuals who share the message of Genesis with the world. We are committed to being on the leading edge of our industry and to taking on the challenges of the evolving insurance marketplace. We'de love the opportunity to let you know more about our company and the solutions we could offer to meet your specific needs. Select "Add To Home Screen" and click "Save". Bookmark this page and follow system instructions for adding icon to your home screen.